We Laugh, We Cry, We Cook Wins 2013 “Top Shelf” Award! 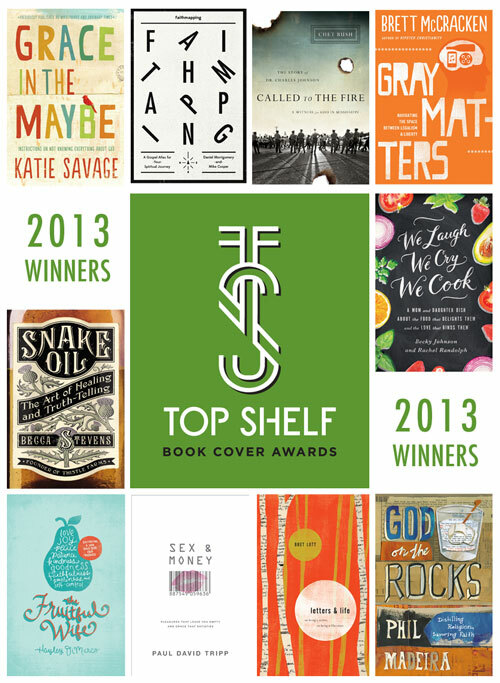 It was such fun to see We Laugh, We Cry, We Cook chosen as one of ECPA’s Top Ten best-designed book covers of 2013, winning a Top Shelf Award today! A big shout-out to our publisher Zondervan/HarperCollins; and a standing ovation for the design/marketing team who created this cover we love so much! We’ve received so many compliments about the fresh, appealing design, and wish we could take credit for it; but alas, all we did was stuff the inside of the artful cover with lots of words and stories. Congrats to all the winners, publishers and designers who were recognized today for the creative work they do to help our books turn the heads of browsers and hook them into readers. We so appreciate you! Thank you to our blog readers, as well, for continuing to help us get the word out about the book. 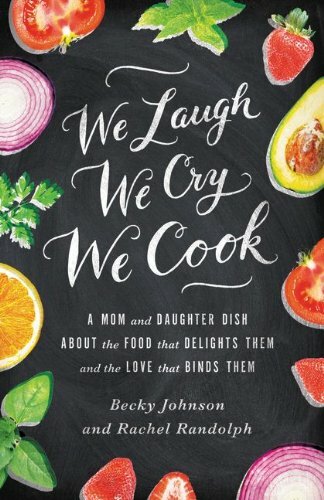 We Laugh, We Cry, We Cook would make the perfect all-purpose, uplifting gift for the holidays to share with families, friends, teachers… basically, anyone on your list who likes to laugh and eat.